COEX InterContinental Seoul's Asian Live is featuring winter oysters in a variety of Chinese and Korean dishes, where guests enjoy the great cuisines of Asia. Oysters are not only known to be a healthy food, but they have high nutritional value and contain taurine, which is also found in large quantities in the brain and heart . 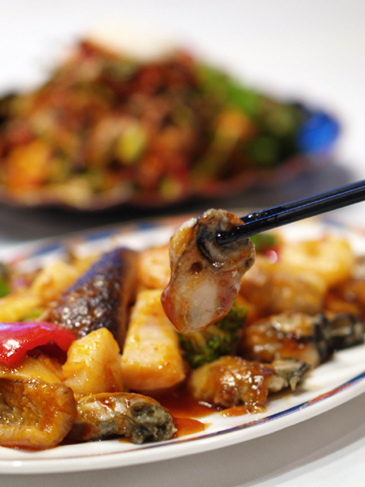 Some of our oyster specialties include 'stir-fried seafood with oysters and hot red chili sauce', 'noodles with oysters, chili sauce, and dim sum', 'steamed rice on gourmet vegetables with oysters and vegetable pancake', 'oysters and vegetables with hot sauce' and 'oyster pancake', embodying the best of both Chinese- and Korean-style cuisine. Asian Live is located on the second floor of the COEX InterContinental Seoul and serves Japanese, Korean, Chinese, and Indian food — all available at one table. Prices for our oyster promotion dishes start at 25,000 won (VAT and service charge not included). For details call (02) 3430-8620.